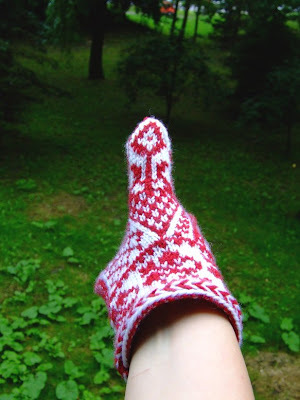 I've been also considering Fair Isle gloves as Christmas gifts for my family, but I think I'll stick with mittens, one finger I can cope with. 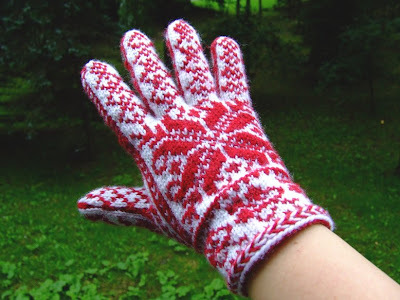 Here is the first of the two Norwegian gloves (not that easy to photograph your right hand with a camera in your left hand...) - it's soft and very warm, I almost dream about Winter weather wearing it! 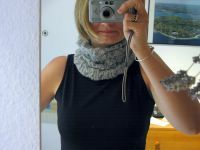 It fits like a glove ^^, and there is the other one to knit (Although it's not as complicated as I thought last year, when I bought the book. But after the Mamluke socks nothing in two colours would be complicated for me! *^v^*). As I've been asked a couple of times recently about yarn shops in Warsaw I decided to make a list for you, foreign visitors, with some other tips as well and some language instructions. First of all, when you shop in small LYS placed in the bazaars you probably won't meet an English speaking seller, but they will be helpful and yarn often speaks for itself. ^^ You will find a good selection of Polish and Turkish yarns, also some Italian yarns in bigger shops and sometimes (but rarely) sock yarn - I found Regia in my LYS, but no Opal of Trekking. It will be also difficult to find more luxuries yarns like silk, but there is a wide variety of wool, cotton, viscose, acrylics and remixes of them all. - I usually buy yarn at my LYS, which is in Mokotow district, this is the bazaar shop and I'm not sure they speak English there but they are very friendly and helpful! You can touch every skein of yarn and you will get a discount if you buy several skeins. It's at the big bazaar on the corner of Puławska street and Aleja Lotników. - there are two wholesalers I know of, one in Praga district at Mińska street - it's called Pasgala, the other one in Żoliborz district at Włościańska street called Agmako. I haven't been to the second one yet, I hope to visit this place next week. They may have been a lot of work but they're gorgeous! I think I would need a pronunciation guide with your dictionary, LOL! Polish is sooo different from english! Wow they turned out fantastic!! You can do anything now for sure! The glove is pretty. It looks hard to knit. Oh, the new blog template looks great too. Have a nice weekend. I agree, gloves are a bit more complicated than mittens but you sure have mastered them!!! Gorgeous!!!! 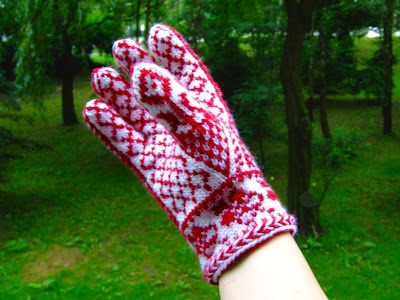 Wow, your gloves are fantastic. Like your new layout too. Thanks so much for your knitter's English-Polish dictionary and yarn shop ideas! My husband and I are going to Poland and Germany next summer and will be looking for yarn. This will be so helpful!! Thank-you for the list! 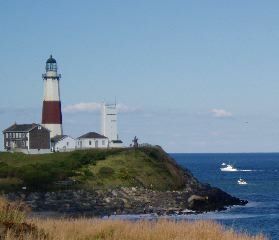 I am here for vacation, and want to crochet some stuff, and your list will make this possible! And I'm staying in Mokotów, so even better! Thanks again!